Most foot-related concerns are relatively simple to take care of and seem to vanish on their own, but then there are the sneaky little foot issues such as corns and calluses that you can spend a lot of your time and energy on trying to buff away. No matter what your foot care regimen may look like, all the moisturizing and soaking may help you peel back layers, but without proper prevention, they will continue to pop up time after time. At Allcare Foot and Ankle Care, we are the foot doctors of Arlington that tend and support those who suffer from chronic foot and ankle concerns. 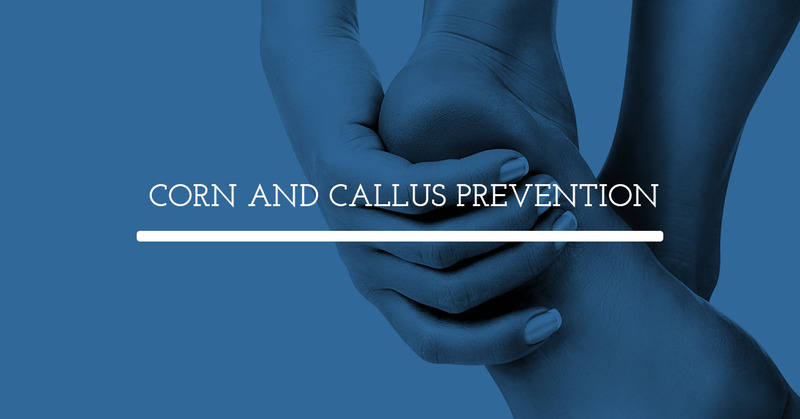 Learn more about how you can prevent corns and calluses from reappearing. How Are Corns and Calluses Different? Corns and calluses look and feel very similar, but there are a few things that make them different — read about these differences below. A corn manifests as various layers of skin that typically appear on toes. A corn is a result of shoes that are too tight or from a toe that rubs up against another toe — both are from constant rubbing and pressure. They are difficult to treat at home because the skin is not a supple, as seen on calluses, and have hard, thick layers that soaking and moisturizing cannot touch. While at-home remedies may address some of the corn layers, they can’t remove the whole part. For complete corn removal, surgery is typically required. Calluses form on your body as a result of constant pressure. Playing guitar, rock climbing, or wearing the wrong sized shoes can all produce calluses. While some prefer the calluses to be left in place, calluses on your feet can become uncomfortable and make walking painful. Unlike corns, calluses can be sloughed off as they are dead tissue, so removing them will expose fresh new skin below. The best course of action for removing calluses are to soak your feet and use a pumice stone to remove the dead patches of skin. Because there is no treatment for corn removal aside from surgery and callus removal can be aggravating and cumbersome, prevention is important with both foot issues. Get your feet assessed, professionally! When you have a better understanding of the anatomy of your foot, you can begin to find shoes that fit better — without sacrificing style! Avoid certain types of shoes and replace old, worn shoes. Specific types of shoes such as high heels have a very narrow toe bed that puts pressure on the outside of the toes, which puts you at a greater risk for foot issues. It is also important to trade out your shoes when they get old and worn — as shoes break down, they lose their support and can cause additional rubbing. Corns and calluses are foot issues that result from tight shoes, increased pressure, and constant rubbing. Because they will continue to resurface, prevention is key in keeping them at bay. For more information about how we can help, schedule an appointment today!